In 2008 completed Academy of Music in Lodz, Poland in the class of Prof. Andrzej Niemierowicz. Also in 2008 he was employed by Grand Theatre in Lodz where he debuted with the part of Fred Eynsfors-Hill in musical My Fair Lady by F. Loewe. His repertoire covers the parts of: Max (Der Freischütz, C. M. von Weber), Don Jose ( Camern, G. Bizet), Cavaradossi (Tosca, G. Puccini), Pinkerton (Madama Butterfly, G. Puccini), Manrico (Il trovatore, G. Verdi), Steuermann (The Flying Dutchman, R. Wagner), Stefan (Straszny Dwór, S. Moniuszko), Gaston (Traviata, G. Verdi), G. Barinkay (The Gypsy Baron, J. Strauss). In addition to the opera repertoire he also performs oratories like Great Mass in C-major by W. A. Mozart or Requiem by G. Verdi. He took part in the CD recording of the Great Mass in C-major by W. A. Mozart under the artistic leadership of Henryk Wierzchon. He is a laureate of the 1st Festival of the Italian Opera Music Belcanto Per Sempre. Dominik Sutowicz worked with the following stage directors: Waldemar Zawodziński, Mariusz Treliński, Krystyna Janda, Janina Niesobska, Wojciech Walasik, Jacek Gąsiorowski, Laco Adamik, Herbert Adler and conductors: Tadeusz Kozłowski, Łukasz Borowicz, Tadeusz Wojciechowski, Jose Maria Florencio, Tadeusz Wiencek, Dariusz Różankiewicz, Piotr Wujtewicz, Michał Kocimski, Bassem Akiki, Sławomir Chrzanowski, Tomasz Tokarczyk, Krzesimir Dębski. He took part in the vocal courses led by Helena Lazarska, Kaludi Kaludow and Piotr Kusiewicz. Dominik Sutowicz cooperates with The Krakow Opera performing Manrico in Il trovatore by G. Verdi and Grand Theatre National Opera in Warsaw where in the season 2015/16 he shall create the part of Stefan in Haunted Manor by Stanislaw Moniuszko directed by David Pountney and conducted by Andriy Yurkevych. 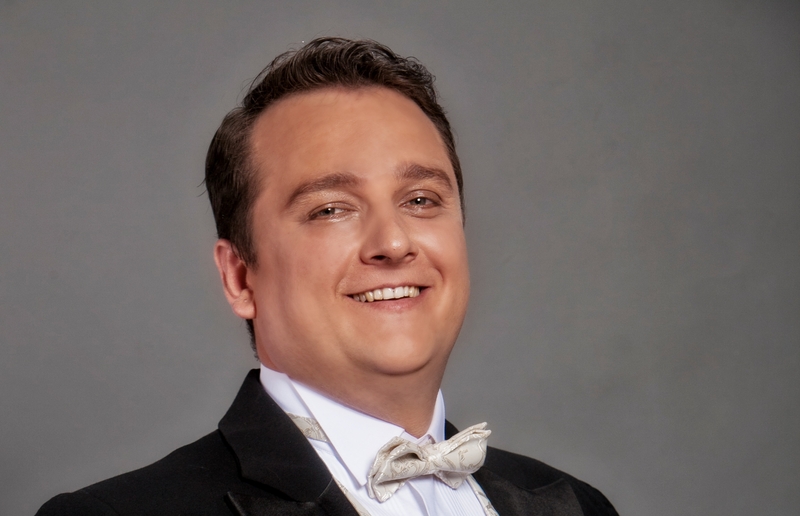 As of September 2016 Dominik Sutowicz co-operates with Tiroler Landestheater in Innsbruck, where in 2016 he sang the role of the Prince in Antonín Dvořáks Opera Rusalka and in 2017 he prepared the part of Hoffmann from Tales of Hoffmann by J. Ofenbach. For 2018 Dominik Sutowicz prepared the part of Manru from Ignacy Jan Paderewski’s Opera Manru.